DUNLOP Black bridge pins. ..
DUNLOP White bridge pins. ..
DUNLOP black pegwinder. Replace your strings in seconds with this classic winder. Its notched h..
DUNLOP Polish cloth. 100% soft lint-free cotton flannel. Non-treated material. Perfect for appl..
DUNLOP ΗERCO Guardfather Ηumidifier. Large clay-filled plastic container (1 5/8 high x 2 diamet..
IBANEZ Polish cloth. Reusable - can be washed multiple times. ..
DUNLOP Micro Fine Fret Polishing Cloth will polish your frets to remove all wear elements and tarnis.. Drum shell polish and cleaner dunlop. Perfect for common drum wood finishes and bright metal tr..
Cymbal cleaner dunlop. For daily use to keep cymbals clean, clear, and resonant. Specially bala..
DUNLOP Microphone stand pickholder. A must for every performing musician. Made of high-quality ..
DUNLOP 01 Fingerboard cleaner & prep. Removes buildup from crevices to restore tone, c..
DUNLOP 02 Fingerboard Deep Conditioner. Prevents warping and cracking while replenishing the pr..
DUNLOP Fretboard Ultimate Lemon Oil. Ultimate Lemon Oil will remove grime and return your fretb..
DUNLOP Ultra Glide string cleaner & conditioner. Shields strings against tarnish and c..
DUNLOP Clear Pick Guard. 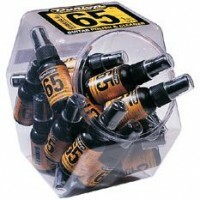 ..
DUNLOP Formula No.65 Guitar polish and cleaner. This hanging card display showcases a single 4 ..
Machine oil for lubricating the moving parts of stands, pedals, and tension bolts. Also protects ped..
DUNLOP Bodygloss cream of carnauba. The highest-grade carnauba wax, in a proprietary formula. P..
DUNLOP Black Pick Guard. ..
DUNLOP Polish cloth. Soft absorbent cloth that is non-abrasive and perfect for all popular guit..
IBANEZ music stand clip light, USB cable included. ..